I am critical of the Scottish Growth Commission Report, particularly on currency. It also appears over-influenced by the fading credibility of Neoliberal economic theory, and insufficiently reflects Modern Monetary Theory (MMT); but I would not argue that it is redundant; in a large number of areas it has done carefully work, and in all areas much more thoroughly than other sources we currently have, or that the public – including myself – have the time or resources to undertake; it is therefore a very good source of informed, if over-orthodox opinion. It is perhaps stronger on ‘managerialism’ of the status quo, than of originality and imaginative, creative new thinking. Others are critical of other features of the Report. Nevertheless there is invaluable analysis within it, and I think the debate is in danger of being soured for the public by the points of disagreement. The Growth Commission Report is a valuable, if flawed contribution to the way forward. To be fair, it could scarcely be otherwise. They will always be differences, for this is a process. There is no end-point, because the exploration of Scotland’s future is an evolutionary process. Elements will change, and change again. There is a never ending process of developing understanding. There are no ‘one-stop shops’ with all the answers. Consider the Growth Commission Report a flawed but useful contribution to a continuing debate, that is actually slowly revealing the contours of the path we require to take. I disagree strongly with the report on currency; especially for a certain lack of precision and clarity about the way forward, and a sense it is ‘kicking the can down the road’; but I do not doubt that currency is the key issue, and it is a very practical and very difficult one. I have used a historic maxim to establish my fundamental point on currency before, and I do not apologise for using the hoary old maxim of Mayer Amschel Rothschild (1744-1812), founder of the House of Rothschild; often misquoted but I hope a good paraphrase at least, here: “Let me issue and control a nation’s money and I care not who writes the laws”. I quote it because it rather trenchantly makes the point. I also have serious reservations about the use of a currency ‘peg’. 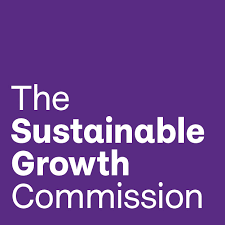 Nevertheless the Growth Commission should be studied with care. It is worthwhile. The report is available free as a download if you wish to read more HERE. To enhance the debate here is an extract of a key section from the Summary. 3.19 Scotland is without question a rich and successful nation, in the top 25 of global economies in terms of income per head and ranks near the top in the UK on most long-term indicators. 3.20 Scotland has very significant comparative economic assets and advantages, in terms of natural resources, the education and skills of the people who live in Scotland and sectors with existing and potential global competitiveness. 3.21 It is energy-rich with oil and gas resources, up to 25 per cent of Europe’s tidal power potential and 25 per cent of Europe’s offshore wind potential. 3.22 We have world-class universities, a world-wide reputation for premium food and drink products and our country has been named the world’s most beautiful, boosting our outstanding tourism industry. We are at the cutting edge of games technology, photonics, life sciences, advanced manufacturing and other industries of the future. 3.23 Despite these abundant resources, other independent countries with the ability to tailor economic policy to their own needs have performed better than Scotland. The median income of the group of 12 small advanced economies3 is 14% higher in GDP per head; a gap of £4,100 per person. This shows what is possible for an independent Scotland. predicated on the assumption that the UK would continue to be a member state of the EU. 3.25 A key argument from the pro-independence side was that the UK economy was unusually unbalanced – both in terms of geographical performance and inequality in income and wealth among UK citizens. 3.26 This report shows very significant regional disparity of performance in the UK. The gap in performance by local areas is by a distance the most unequal in Europe, with far too much economic activity and opportunity concentrated in London and the South-East of England. 3.27 The gap between rich and poor in the UK continues to be one of the largest among developed countries, with growing evidence that such inequality acts as a drag on economic performance. 3.28 A dependence on consumer debt fuelled spending for growth has been a consistent feature of the UK economy, is not sustainable and carries very significant risks. 3.29 The UK’s export performance has been poor and with a falling share of the global market. The UK has – by far – the highest trade deficit in the EU. 3.30 Scotland performs close to the UK average in terms of economic performance per person but has not enjoyed similar levels of population and labour force growth. 3.31 If Scotland had matched UK population growth since 1980, the population of Scotland would now be 5.8 million, if it had matched the population growth of the other small European countries (such as Austria, Denmark, Finland, Ireland, Norway and Switzerland) there would be 6.1 million living in Scotland. 3.32 If the gap between Scotland’s real per capita income and the median of the small advanced economy group was closed, income per head would be 14 per cent higher. Closing the gap between Scotland and the best performers would increase incomes by half. Closing this gap would mean, in today’s values, an additional £22 billion in additional GDP and a potential additional £9 billion in tax revenues. 3.33 The decision of the UK to leave the European Union will fundamentally change Scotland’s economic future. Brexit will almost certainly widen, not narrow, the gap between Scotland and comparator countries. 3.34 The UK Treasury says Brexit will make the UK “permanently poorer”. This is not a controversial claim. There is a widespread consensus among economists, with few exceptions, that leaving the EU will damage UK economic growth, productivity and job creation. 3.35 The Fraser of Allander Institute estimate a potential Brexit impact of the loss of between 30,000 and 80,000 jobs, the loss of between £3 billion and £8 billion in GDP and a real wages cut of £2,000, depending on the model that succeeds Brexit negotiations. 3.36 Scottish Government modelling shows an adverse impact on trade, productivity, population and foreign direct investment. And LSE’s Programme of Brexit research suggests Scotland (as well as Wales and Northern Ireland) are already being disproportionately hit by the impact of the Brexit vote. 3.37 The already huge difference in economic performance between London and the South- East of England and other parts of the UK is therefore likely to increase. 3.38 This means it is essential to stimulate an inclusive, national debate on Scotland’s economic future to find out whether a different, better path is possible. 3.39 Scotland’s resources and talent, combined with good decision-making and the ability to tailor policy to our needs, can lead to improved economic performance and avoidance of the low growth future in a UK outside the EU. The growth aspirations here are structured over three time-horizons: (i) First 10 years: catching up with the small advanced economies average growth rate (currently 2.5%) (ii) Years 10 to 25: closing the GDP per capita gap with the small advanced economies (with period of 3.5% growth) (iii) maintaining a GDP per capita position in line with the top half of the small advanced economies group. 3.40 The long-term nature of the strategy should not diminish its urgency. It must begin now. 3.41 Common themes in benchmark small advanced economies policy include a commitment to strong policy foundations (solid macro policy settings, innovation and human capital, and internationalisation), as well as a high degree of strategic coherence across these different policy settings, positioning the country to compete effectively in the global economy. 3.42 Small economies perform better than larger ones consistently by around 0.7 percentage points per year over the last 25 years on average. 3.43 This growth performance has meant the benchmark group of 12 small advanced economies has held its share of the global economy over past decades remaining competitive even with the integration of the large emerging markets. The share of many large economies, including the UK, has retreated substantially. 3.44 Small advanced economies have done well in terms of labour market performance, with relatively low unemployment, on average, a couple of percentage points under those of larger advanced economies. 3.45 On average, there is no clear margin between small and large advanced economies in terms of levels of labour productivity which is constrained in small economies by the small size of the domestic market; however the strong performance in the trading sectors offsets this. In this respect leaving the EU and Single Market would obviously act as a growth restraint for Scotland. a matter of long term policy choice and effective implementation, rather than anything intrinsic to small advanced economies. 3.47 The overall performance of our benchmark group is significantly ahead of the UK and the large economies. Policy making is more agile and of higher quality because it requires to be. 3.48 Through history, there has been a strong relationship between periods of trade openness and an increase in the number of countries. Over the past 100 years, the number of independent countries rose from under 70 to just under 200 today. 3.49 Overall, small countries have effective, responsive governments, with a well-developed sense of strategic capacity, high levels of trust and social cohesion, and the ability to adapt in response to changing international circumstances. 3.50 Small competitively-strong economies are continuing to invest in key sectors and clusters, to help them develop positions of advantage in a more competitive and challenging global economy. 3.51 The levels of international engagement by small advanced economies are substantially higher than for larger economies and the growth in international economic activity has also been stronger. This is the case for both exporting as well as cross-border direct investment. 3.52 Large multinational firms play an important role in small advanced economies in driving international expansion. 3.53 However, increasingly, small advanced economies are investing in firm-level enterprise policy to support international expansion by indigenous firms. Export promotion agencies are increasingly working intensively with high-growth potential firms to accelerate their international engagement. 3.54 Small advanced economies take micro and macro policy foundations very seriously. Small advanced economies rank highly on the various indexes of the quality of policy and flexibility of business environment. 3.55 The strong performance of small countries is largely a matter of deliberate choice and management. It is the small advanced economies that have positioned themselves most appropriately for the challenges and opportunities of globalisation that have performed best. In contrast, those countries that did not engage with, and respond to, these global forces did not fare well. 3.56 Two fundamental lessons are clear: Scotland must become more engaged, not less, in the global and European economy in order to boost growth. And the opportunity to contribute to, and benefit from, that growth must be more widely shared. 3.57 In considering the future, the UK economic model is wrong for Scotland. Leaving the EU and the Single Market, hostility to immigration, concentrating economic activity in London and the South-East of England, low wages and tolerating a large gap between rich and poor can only depress growth and opportunity. 3.58 Our recommended starting point for a Next Generation Economic Model for Scotland is based on learning the lessons from small advanced economies and applying them intelligently to Scotland’s circumstances, needs and opportunities. Drawing on all 12 small advanced economy case studies we are especially drawn to a hybrid of Denmark, Finland and New Zealand. Features of that model include; quality of governance; long term cross partisan strategy, a focus on innovation, being a competitive location for international investment, exploiting Scotland’s resource endowment, an export-orientation, migration- friendly, where flexible labour markets combine with fair and progressive work and active employment policies, maintaining a highly skilled workforce with transferable skills, using taxation as a tool for economic development but not competing as a low tax location, placing inclusive growth at the heart of the strategy and viewing quality of life as both an asset and objective. The best of the lessons of Denmark, Finland and New Zealand are at the heart of this but many other countries can, of course, offer continued inspiration. 3.59 Scotland has recently been transformed from a nation suffering from population decline to a country benefitting from net immigration for the first time in our recent history. Positioning ourselves with an outward focus will both increase opportunities for the next generation of Scots born here and ensure we continue to attract talent. 3.60 Given the demographic structure of Scotland, migration is critically important to population growth and also productivity performance. IMF evidence suggests a 1 per cent increase in the share of migrants in the adult population can increase productivity by 3 per cent long term. 3.61 Scotland must continue to attract people in order to increase our working population and our overall population. Migration is projected to account for all of Scotland’s population growth over the period 2016-2041. Maintaining immigration is essential otherwise the number and proportion of people working and paying taxes will fall. The economic activity and employment rates of those born outside of the UK are higher than those in the rest of the Scottish population. 3.62 There are around 429,000 people resident in Scotland who were born outside of the UK, 8.1% of Scotland’s total population. Of the UK regions and nations London has the highest share of its population born outside of the UK (38.3%). 3.63 The contribution of non-UK born citizens in Scotland to the Scottish economy is estimated at approximately £12 billion per year. 3.64 The 429,000 Scottish residents who were born overseas are associated with £4.3 billion of government revenue, including income tax and national insurance contributions. Government spending associated with Scottish residents who were born overseas stood at £3.0 billion. This suggests a net contribution to Scotland’s public purse of £1.3 billion per year. The Polish born community alone is a net contributor of circa. £250 million. 3.65 We estimate that approximately £1.1 billion in exports in 2015-16 was attributable to overseas students studying in Scotland. Each student from out with the EU generated £26,811 in exports for the Scottish economy in 2015-16 and each student from within the EU generated £14,812. However, given that much of the spending of students is consumer spending in Scotland, like tourism exports these figures are not reflected in reported export statistics. 3.66 Overseas students in Scotland also make a net positive contribution to the UK Exchequer of around £2,500 per person per annum. 3.67 Policy should prioritise Scotland’s rankings in the main world competitiveness league tables and related trade-offs considered and agreed for long term policy. 3.68 The attraction of economic migrants (from identified target groups) should be one of the top priorities of Scottish Government economic policy. Policies are recommended to remove barriers provided in UK policy and to incentivise talent to come to Scotland. 3.69 Tone and message matter every bit as much as policy specifics in driving sentiment and human behaviour in this area, the whole country must market itself as a welcoming home for new talent and overseas citizens already based here. We should seek to be the most talent friendly country in the world. long-term cross partisan strategy is required. 3.71 International Monetary Fund and World Economic Forum studies identify a direct relationship between improved inequality and growth. 3.72 In income and gender pay inequality Scotland underperforms many of the benchmark small advanced economies to its economic, social and fiscal disadvantage. 3.73 The direct cost of inequality on the Scotland’s net fiscal position is estimated at more than £6.4 billion per year. 3.74 The Joseph Rowntree Foundation targets a position where less than 10% of the population are in poverty at any one time. This would be a reduction of 50%, if achieved this could mean a saving of £1.6 billion to the Scottish public finances. 3.75 OECD data show that many small advanced economies have gender pay gaps that are less than half that of Scotland. Median full-time female workers in New Zealand are paid 94.4% what the median full-time male worker is paid, compared to 83.4% in Scotland. 3.76 If gender inequality in Scotland was reduced to the level of New Zealand, Scottish GDP would grow by £6.1 billion and the net impact on public finances would be a possible positive net exchequer impact of up to £2.5 billion. 3.77 Regional inequality within Scotland is less stark than within the UK but requires addressing. 3.78 More localised inequality also needs to be addressed, targeted at the groups in society who have faced significant barriers to full participation in the economy, even in times of economic growth. This will require concerted long-term action to ensure that no one is excluded from opportunities that the majority of us take for granted. significant economic and social returns. 3.80 There is a widespread view that current economic development arrangements are not adaptable enough to respond quickly to new opportunities for the Scottish economy. Brexit is forecast to worsen productivity. 3.81 All of the approaches to increasing productivity growth require an increase in levels of investment in the Scottish economy, on improved technology, increasing capital intensity, better working practices and policies that encourage the growth of high productivity sectors. 3.82 International competitiveness rankings matter and should be elevated in policymaking, target setting and debate. Agreement should be sought on how Scotland can best achieve the required improvements in relative production costs and prices. One way is through trade and international ownership because that makes domestic output subject to competition on the world markets (instead of just the domestic markets). 3.83 An increase in trade share of GDP equivalent to 1% of GDP can increase productivity in the economyby0.4%. More specifically, the benefits to labour productivity and how that feeds through to wages are estimated to be 2-3 times as much. 3.85 While there are many successful Scottish exporters, Scottish exports are more dependent on a small number of sectors that employ relatively few people. 3.86 Scotland and the rest of the UK have a mutual interest in maintaining a close trade and investment relationship that benefits both. But if the Scottish economy is to realise its full potential, then we must build stronger direct trade and investment links with other European countries and the rest of the world. 3.87 The potential Brexit damage to trade relations with Europe – and the risks to trade relations with other countries – means that Scottish dependence on the UK market is likely to grow after Brexit if Scotland remains part of the UK. This narrowing of Scotland’s potential markets will be to Scotland’s material economic disadvantage. That this is seen by some as a case for maintaining the current model strikes us as demonstrating a remarkable lack of concern and ambition. 3.88 Maximising frictionless trade and market access with the rest of the UK and with Europe is of critical importance to the performance of the Scottish economy in the short and long term. 3.89 Increasing overseas exports from 20% of GDP to 40% of GDP would be a reasonable target to set in order to close the export gap with small advanced economy benchmark countries, implying an increase from under £30 billion to more than £60 billion. This could deliver a productivity boost of 8% of GDP and would be expected to generate additional taxation revenues of some £5 billion each year. 3.90 In Scotland, as in most other small advanced economies, improvements in productivity will come in myriad small advances, but a few major reforms would make that process a great deal easier – for example finding ways to encourage capital (total factor) productivity and repair the long-standing investment rate deficit. 3.91 Establishing a Productivity Commission in Scotland, to identify opportunities for productivity improvement would be useful, in particular ways in which policies can be used to bring these opportunities to reality in practice. Adopting a fixed-term model, as in Denmark or Norway, would be an easy way to start – with an option to establish a New Zealand style Productivity Commission model if appropriate. 3.92 The Anholt-GfK Roper Nation Brands Index examines the image of 50 nations. Scotland’s score (61.8) and rank (17th) on the index show that Scotland already has a strong national brand. Across all dimensions, with the exception of exports, Scotland is ranked within the Top 20 countries indicating that there is room for improvement in the exports dimension. 3.93 Digitalisation will continue to have an immense impact on the world economy in the coming decades, offering potential in every sector. The digital sector has grown markedly over the past five years and must be continue to be a priority growth sector for Scotland, given its potential long-term significance to the wider economy and also to the ability it provides to widen participation and globalisation in a country of Scotland’s geographic position and structure. 3.94 Higher Education Research & Development (R&D) significantly outpaces the UK and EU averages and lags only Denmark, Switzerland and Sweden. Scotland’s university sector is a key comparative advantage for any growth strategy. Internationally Scotland’s scientific outputs Scotland ranks top, and second to the Netherlands in terms of their influence. However, business R&D investment lags significantly behind EU, OECD and UK averages for both the government investment and business sectors. Improving this measure in key to overall productivity growth, higher investment, and strengthening the competitiveness in the Scottish economy. 3.95 Even within countries and industries there can be large gaps between the most productive and others. The diffusion of knowledge is as important as pushing the boundaries of knowledge. Changes in technology resulting from science and innovation accounted for one-third of productivity growth that took place in the UK between 2000 and 2008. 3.96 There is a positive and leading role for the state in the promotion of R&D and innovation. Building on the Scottish Government’s Can Do Innovation Forum, additional initiatives are required to improve commercialisation performance and enhance the role of workplace skills in innovation and the creation of a learning economy. 3.97 Infrastructure is critically important and can deliver significant economic returns on investment. The World Economic Forum’s Global Competitiveness Index ranked the UK only 28th in the world on quality of infrastructure. An Infrastructure Commission is urgently required along with a longer-term commitment to increased investment. The Growth Commission report is a starting point,no more, no less. You are right that we should not nit pick the detail as everyone has a different slant on some parts of it. I read the man Fry in the National today and he got it spot on. The report was to address the failings of the 2014 campaign and in that it was a huge step forward. We need to gain the power to make decisions then argue about what these decisions should be. If we argue over the details now we will never get past the winning post. Let us set a date, get out there and persuade the voters to take the leap. After we win there will be a transformation in Scottish politics; The reason most people follow the SNP will no longer be there and to an extent there will be a fragmentation of its followers. This is no bad thing and we can gain a consensual way forward that is thrashed out in the best interests of everybody. We will decide rather than having the decisions made for us in Westminster. First of all, thanks to Mr Small for initiating what looks as if it might well be a fruitful discourse if we can avoid the ‘instant analyses and rejection’ which characterised much of the early comment on the report. Thanks, too, to Mr John Warren for taking a balanced approach to the issue. Because of other commitments, I have not been able to read the report fully and to judge how all parts hang together and relate to the vision set out in the other thoughtful opus from Commonweal. In other places on this site I have made some sharp, and probably rude comments, because of my irritation with the immediate condemnations. One, for example, dismissed the report because it was “seeking to address concerns of the middle class, who were never going to vote YES anyway.” Now, by most definitions, my wife and I are ‘middle class’ – by income, by possessions, by what our pre-retirement employment was, by our ‘cultural’ interests and enthusiasms, indeed, we even peruse ‘The Guardian’ from time to time! However, we are both committed to YES, despite being old codgers’ too. We know many friends, neighbours, acquaintances, contemporaries who are broadly similar. There are others whom we know who voted NO and many of them, probably, will do so at a future time. But there are others, who voted for what they saw at the time as ‘the least worst option’ and it is these people who are open to persuasion. The issue of pensions was a scare story that was raised by Better Together and, probably, had an effect on some people, despite the fact that even HMG in Westminster had indicated that pensions were secure. Although Alex Salmond administered one of the most severe ‘doings’ I have ever witnessed to Mr Alistair Darling in the second debate, during the first one, Mr Darling was able to strike a chord with his repeated: “What is your Plan B?” mantra. The currency issue was a significant one. When Mr Osborne (and his grinning china, Mr Balls) made his announcement about ‘not using the pound’, it certainly shoved a huge number of people into YES – John Curtice has provided substantial evidence – but it was also polarising in that it confirmed fears of a fair number of genuine switherers. So, we need to have a debate about such things. Ms Boyd and Mr Shafi, in their piece, are arguing from a perspective which they have held pretty consistently and from a particular social class perspective. They argue for the need to encourage more from areas of high SIMD to register to vote, to vote on the day and to be offered indications that independence is in their interest in the medium and long term (as it is for most of us.) I commend the work which RISE supporters on the ground did in fostering registration and agree that this efort needs to be continued and strengthened. Although I have indicated that by any definition, my wife and I are ‘middle class’, we have not always been thus. My wife is from a rural working class family, the first woman from that social class in her community, to have attended university to study in other than the traditional women’s fields like nursing. I was born into a fairly straitened industrial working class family in Glasgow and during the 1940s to late 1960s experienced pretty severe poverty. With things like the NHS and widened educational opportunities, hundreds of thousands like us were empowered to achieve a better quality of life. We still support strongly measures that we hope, in an independent Scotland will be similarly transformative. Nevertheless, having acquired many of the accoutrements of a ‘middle class’ lifestyle, we can also understand the worries of many within this class that such change might threaten a lifestyle, already threatened by decades of Thatcherite policies impacting on their children’s lives and by Brexit’s potential implications for their own. As Mr Warren indicates, this is complex. Let us talk it through and come to positions that will suit a majority. These positions can only be provisional. We cannot prescribe what things will be like on Day 1 of Scotland, a nation once again! Do these positions that will suit the majority include for Scotland remaining part of the UK? Or do they remain provisional until one referendum one day gives marginal support for Indy? If that was ever to happen would it be reasonable to expect that once the SNP had been removed from power and another party voted in that we could expect a rerun? And if the majority once again returned that Scotland should be part of the UK how would that be handled? Or we could just have a another referendum to establish if the people of Scotland actually would like another Indy referendum. And if they don’t then wee Nicola can maybe get in with the day job eh? Or we go best of three mibees. Do you see how this is becoming ridiculous? What is it the report says “Scotland is a rich country”. It omitted to say as part of the U.K. of course. A very good piece and proof that those of us who have issues with the Growth Report are engaging critically but fairly AND offering alternatives. The GR lays great emphasis on the average higher GDP growth achieved in smaller industrial nations compared with a Scotland trapped inside the lumbering U.K. But GDP growth does not necessarily translate into increased real income for ordinary folk. In fact, in many countries since 2008 real take-home pay has fallen DESPITE growth. My worry about the GR mention of the £4,100 “gap” in GDP per head between Scotland and the basket of other small, industrial countries is that it implies people here would have that cash in their pockets if we were independent and expanding at the average (eventually). But you can and do have growth (including per capita growth) without that translating into welfare. Bottom line: to win the next indyref we need to mobilise working class votes that will only come out if they feel their life will be transformed. But the GR takes a very conservative view of transformation, aiming to win over sceptical middle class opinion. What you win on the one hand, you may lose on the other. It is not as simple as saying “let’s not rock any boats but postpone the economic debate till after we win”. 1 Economic transformation on a large scale could not be done without impinging on the economic interests of the 60% of materially comfortable voters who backed NO in 2014. 2 Convincing working class voters. The SNP is no ‘new kid on the block.’ It has been in power in Holyrood for 11 years. What has the SNP done so far to transform life in working class areas ? Even if the SNP could come up with ideas for such a transformation and I do not see much evidence of that happening, working class voters would be unlikely to believe them. In democratic politics, you only get a certain amount of time. The SNP has already had much longer than many parties have needed to implement radical change. Attlee had just over 6 years. The Growth Commission does attempt to address the currency question, which was a major gap in 2014. It does that by a business as much as usual approach, which means existing debts will be more or less stable, but that the main fiscal and monetary levers will be in rUK. So peace, at a price. Apart from that, it doesn’t have radical prescriptions. It’s a mix of Commissions, Reviews and Strategies as pursued in other countries, and which might be usefully followed here – if the recommendations were acted upon. We’ve already had a variety of initiatives, such as the Business Birthrate Strategy. The most interesting omission is Brexit. Possibly that developments, and lack of developments, delayed publication, but the finished draft omits it completely, which gives it a timeless feel. That gives the SNP some freedom of manoeuvre if they prefer Scotland outside of the EU, as seems the likely outcome of Brexit, but one wonders what the authors might have had in earlier drafts. “When might a newly independent Scottish government be in a position to introduce its own currency? The Growth Commission produced a list of hurdles (“tests”) which would be used to determine whether Scotland was ‘ready’ for its own separate currency at some future date. It reads like an IMF Bible and includes adherence to unworkable fiscal rules, central bank credibility, sufficient foreign reserves, and relevance of trade and investment patterns. The problem is that the requirements are so ideologically-biased that Scotland might never pass these neoliberal hurdles. It would be madness for the new nation to peg its new currency to the pound or the euro or any currency and then try to manage that peg. Like all nations that issue their own currencies, the newly independent Scotland would be advised to float its currency on international currency markets. The float will settle at the level that matches its relative productivity and domestic costs. For anyone who wishes to understand MMT (and it is important), then I recommend they read Randall Wray, ‘Modern Money Theory’; but also the work of Stephanie Kelton, Steve Keen, Bill Mitchell or Ann Pettifor. If it is made up, then it’s probably best attributed to generic central bankers, whuch is I think the case when it first appears, rather than a Jewish banker. But my favourite misattribution has to be the Gandhi one about “first they ignore you…” rather than Nicholas Klein of the Amalgamated Clothing Workers Union, it’s actual author. I’m doubtful about a currency peg myself, it seems like a ripe target for speculators, and still ties you to someone else’s monetary policy. The hurdle I think is how much domestic and corporate debt is in sterling, and what people are likely to do with their own money if they thought their Scottishb deposits were about to be turned into Scots pounds. It is a very clever remark, and hints at an understanding that few central (or other) bankers were likely to make. Remember, for long there was a ‘Gold Standard’. The question ‘what is money?’ has often been misunderstood. ‘The Quote’ is manufactured, but the sentiment & origin came from the Fuggers, who were known for occupying the Customs House of any country they financed. I’ve seen the 16th century Arabic version of it, attributed to Jakob. The quote is, of course, fully accurate. Have I missed the point of this piece? It seems to repeat others misgivings particularly regarding currency. Then quotes the Growth Report at length. It adds nothing to the debate, except another grudging but critical commentary of the Report. Where is the insight? Where are the suggestions and alternative ideas? Mmmm. See my comment above. What am I suggesting? We should all take some time over this. Instant results will only be found in tins of coffee, or provided by the tabloid press; and at least you can drink the coffee. Don’t disagree over taking time, but I’m still confused as to what the original piece sought to do. There is no analysis. There is nothing new. Just a restating of what any one can read in the Growth Report. The Growth Report was issued as a discussion/debating document – not sure what the Bella piece was supposed to do! Mr Blackwood, Mr Kerevan and Mr MacDonald seemed to ‘catch my drift’. We are under-resourced in Scotland in terms of detailed analysis of the key issues; therefore, whatever the failings, something of this nature provides some valuable information: nothing more, nothing less. I remain very critical of the currency option offered, but I want to rescue the Reportt from the wholesale destruction of it from every side; which is simply an invitation on all sides to take entrenched positions and use megaphone debating strategies (Ruth Davidson does enough of that sort of thing for several lifetimes). This is an issue that requires clear understanding of the complexities; and there is precious little of it currently. We can take this Report, warts-and-all, and explore the issues. Everyone. Slowly. For example; “what analysis?” I gave a list in my comment in answer to ‘Crubag’. Please read the sources I have provided. There is a lot of analysis there, including why a sovereign country should be a currency issuer if it is going to be sovereign, and have genuine indpendence of economic policy, and flexibility to support its people, and meet the challenges that face all countries. “But I want to rescue the report from the wholesale destruction of it from every side”. The pomposity is out in all it’s splendour. JSW is going to somehow make the critics go away. The criticism is coming forward for a reason. That is that the report is weak, ill thought out and promises jam tomorrow, well maybe, possibly or whatever. Then it says but possibly not! The report is a face saver nothing else. It is full of forecasting which will never come to pass. People see this hence the criticism. Worse the criticism comes from the left, the right and the centre of the Indy movement never mind the majority of those opposed. When the case for Indy rests on something like this it is no wonder those on left who previously associated themselves with Indy are moving away and back to their natural position. It will give wee Nicola something to blame as the reason Indy was lost which I suspect it is designed to do. Let’s see the previous edits. She knows she cannot win a referendum and worse that people don’t want one. If she thought she could it would have been called by now. This report will not change that. It will not even start to change that. The report is being criticised because people see that. But JSW will turn that all around. Thank you. I did not quite understand the gibberish, but I am sure it is all sincere; so I’ll take it as a compliment.